Stiffy Green – Phantom Bulldog? 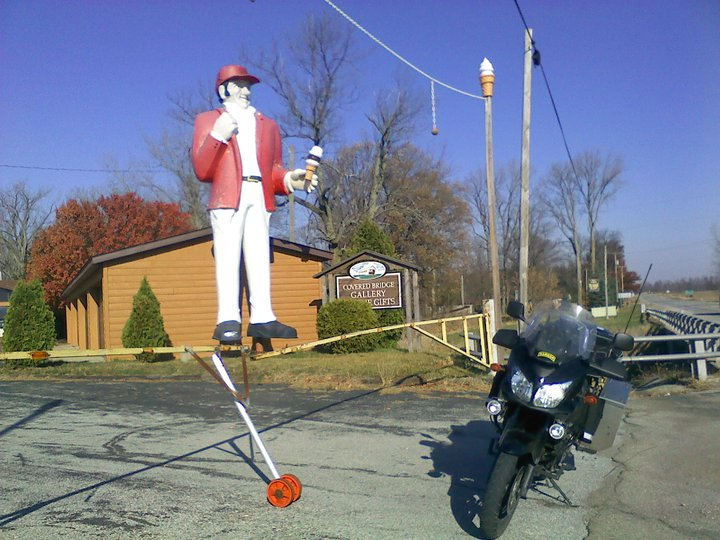 Tom sent this totally cool giant ice cream man (who greets visitors at the Tin Lizzie Ice Cream Shop outside of Montpelier, Indiana) last month. I’ve been holding on to it because I think this particular specimen used to be a Marathon Oil Man. I was trying to verify that; but I haven’t been able to as yet. If so, this would be the first “Corey the Marathon Oil Man” in our collection! According to one website, he is original. His name (Corey) was painted on his left arm (top of sleeve).